Contrary to common belief, People who have a small brain are smarter than those with a bigger brain. When you have a big brain, Your neurons have to cover a larger distance as the density of neurons decreases with increased brain volume. Considering that fact that electrical impulses have a maximum speed of 120 meters/sec (268 miles/hr) and that this max speed uniform across almost all people, The time it takes for an electrical signal to go across the axon of a neuron increases if the distance between subsequence neurons increase. This means that generally, People with a "bigger" brain take longer for electrical signals to go across the brain. This means that the time it takes for them to make a decision or think of one thing takes longer. Would you call a person who takes 5 minutes to calculate 1 + 1 smart? On the other hand, People with a smaller brain have a greater density of neuron which means that the distance between them decreases. This means that electrical impulses travel faster, Allowing them to make decisions faster. 11. An actual normal government that doesn't intervene in every conflict around the world and cause violence in other countries for extra revenue and as a way of virtue signaling. 1. Canada has free healthcare. 2. Canada promotes both nationalism and globalism, Unlike the USA which only promotes the former. 3. Canada is more environmentally conscious. 4. Canada banned the use of guns, Less terrorism. 5. Canada promotes diversity of citizens, While the United States promotes a message of hate through their immigration policies. 6. Canada has a more effective leader in Justin Trudeau, America has Donald Trump, Who has become more of a hateful meme than a strong leader. For these reasons, As well as many others, I believe that Canada is better than the United States. As heavily debated over on https://www. Debate. Org/opinions/does-canada-exist, There is much reasonable evidence that Canada does not even exist. As many more people have internet access, It becomes harder for the government to hide the truth. How could a country that doesn't even exist be better than the best country ever? The U. S. Is better. If people south of the U. S. Border believe that Canada is better, Why don't they just keep going north? Some even go around the U. S. Into Canada just to take advantage of the lack of border defense to our north. If Canada is better and they were there anyway, Why leave? Because the U. S. Is better. America is the greatest country in the world. Most of the inventions, The technological innovations, World donations and prosperity resonates through the US. Canada is just socializing everything and letting go of fundamental rights of citizens like the right to bear arms and the freedom of speech. Ease of starting a successful business in America is higher, And the quality of life and gdp per capita is higher in the USA. Canada depends on the USA, Over 90% of their economy in fact. If Canada fails, USA will still stand. Not the other way around. This question is way too unprecise. 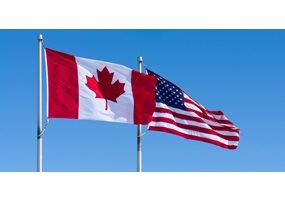 Canada is not better than the United States, The United States are not better than Canada. Both have their disadvantages and advantages in certain areas. Hence you cannot generalize an answer. While the US has a bigger economy, Canada has a more progressive healthcare system. Now even so you cannot say one is better than the other, Because different people put different weight on different subjects. Should foreign aid be removed and re-allocated to services in the UK (e.g. NHS)? Did the second Presidential debate 'reset' the race? Marijuana- is it a state or federal decision to have it legal for recreational/medicinal purposes? Is public education in the USA fair to people in economically disadvantaged communities? Are political parties to blame for the U.S.'s major issues? Was the California Primary rigged? Green Party's Jill Stein: What We Fear from Donald Trump, We Have Already Seen from Hillary Clinton. Is she telling the truth? Was Benito Mussolini a bad leader? Is Public opinion on Socialism/Communism or similar ideologies Growing?